If you asked the average Indonesian what a farmer does, they would answer “bercocok tanam” (“to plant crops”). Yudha Kartohadiprodjo, co-founder of the farming social network Karsa, thinks the term oversimplifies just how much farmers have to do and know to be successful. As a result, farmers have a real need for accurate, timely information. They gather online on Facebook and other social networks, where they ask each other questions and share their own knowledge. These online farming networks became the inspiration for Karsa. 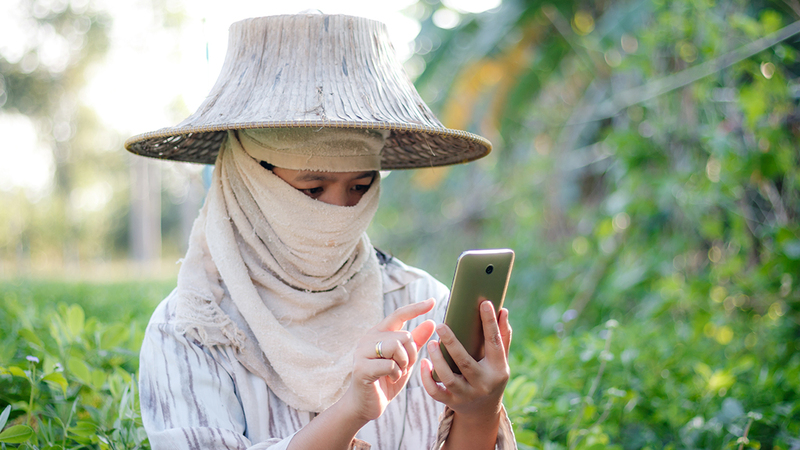 Karsa traces its beginnings to Yudha’s longtime friend, Ming Alihan, an agriculture and agrichemical businessman who wanted to reach out to his customers through social media. “One of his employees has a journalistic background. They decided to create Facebook pages related to agriculture,” says Yudha. When these Facebook pages exploded in popularity, Ming approached Yudha, a former editor at Femina Media Group, to see what they could do with this opportunity. After conducting a survey on the needs of Indonesian farmers, Yudha and Ming decided to develop Karsa, a dedicated social network and information platform for farmers. They brought together five professors from Institut Pertanian Bogor (Bogor Institute of Agriculture) and Gadjah Mada University as advisors, as well as a team of programmers led by a Facebook alumnus. Facebook remains an important part of Karsa’s strategy. According to Yudha, Karsa is one of the few Indonesian companies supported by Facebook through its FbStart initiative. “We’ve also been feeding Facebook pages with our content, with the hope that we can get some traffic back. So there’s a symbiotic relationship between us and Facebook,” says Yudha. As for the news feed, Karsa provides quick and timely information about what’s happening in the farmer’s area. On at least one occasion, Karsa’s users caught wind of a pest infestation before it was reported by major media platforms. To that end, Karsa has been working with CropLife, a non-government organization formed by agrichemical manufacturers, to find out about farmers’ needs in specific areas and to teach farmers about better agricultural practices. Yudha considers Karsa a “for-profit company with a big social impact.” The company, which is still self-financed, earns revenue through advertising and platform-related activities. For example, agritech or agrichemical companies advertise new seeds and other products on Karsa’s platform or at Karsa-hosted events. When asked about Karsa’s plans for the future, Yudha says he wants Karsa to be the “center of the universe” for Indonesia’s agricultural economy. He believes that Karsa can use smartphones to empower farmers in Indonesia, similar to how Go-Jek helped unemployed and underemployed Indonesians with smartphones earn income as motorbike taxi drivers. For Karsa, data is key. “If we have enough data, we can have more trading going on and harness the data for trading and for empowerment. So the big vision is empowerment, advancing Indonesia’s agriculture, while making money out of it,” explains Yudha. For example, farmers armed with data will have stronger bargaining power when selling their harvest. In Indonesia, farmers often sell to bulk buyers or middlemen. Some of these middlemen are loan sharks to whom the farmers owe money, which gives the loan sharks an unfair advantage when buying produce and setting prices. In other cases, farmers simply have no current knowledge of the market prices. This information asymmetry is among the issues that Karsa could help address.